Erdvark Engineering are on the forefront of Disc Bearing development. Erdvark developed each component and manufacture the component our self to the highest specifications. We use a taper roller bearing and Duo-Cone seals. The bearing is developed that no dust or dirt will enter the sealed unit under normal working conditions. The bearing need no lubrication or daily service. The Bearing units are assembled in our factory with a special high quality lubricant and the correct volume of lubricant to prevent over lubrication and cause leaking. 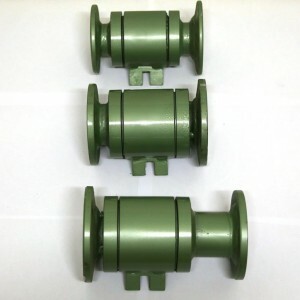 The Bearings are assembled with special tools and pressed together.